Nov 17, 2007 - that has been trespassed against, which has included not only the ..... In short, the labor, personhood, and utilitarian justifications provide. Electronic copy available at: http://ssrn.com/abstract=1927787. Page 1. The argument against short selling. Hans J. Blommestein1, Ahmet Keskinler and. In one case, Hecate Logging,81 the bcca upheld a lower court decision that the ..... n e r. (U n io. n o r. E m p l oy er. ) U n a n im o u s o r D isse n t. Issu e. A ppe. In suggesting how to achieve this balance, the Court looked to analogous national security legislation in the United Kingdom, noting that it had been designed. Non-adversarial justice and the coroner's court: A proposed therapeutic, restorative, problem- solving model. Michael King. Faculty of Law, Monash University. This research is funded by the Danish National Research Foundation Grant no. DNRF105. iCourts - Centre of Excellence for International Courts - focuses on the ever-growing role of international courts, their place in a globalizing legal order, and their impact on politics and society at large. To understand these crucial and contemporary interplays of law, politics, and society, iCourts hosts a set of deeply integrated interdisciplinary research projects on the causes and consequences of the proliferation of international courts. iCourts opened in March 2012. The centre is funded by a large grant from the Danish National Research Foundation (for the period 2012-22). Resistance against the Court of Justice of the European Union Andreas Hofmann I. Among international courts, the Court of Justice of the European Union (CJEU) is generally regarded as unusually successful, a model upon which many other international courts have been based (Börzel & Risse, 2012). Its innovative and controversial advancements in law have encountered relatively little overt resistance by national policy-makers (Kelemen, 2016). Many of its innovations have been codified in subsequent EU legislation or incorporated into the EU treaty framework. Instances where the EU legislature has explicitly reversed undesired judgments are rare (Davies, 2014; Larsson, 2016; Martinsen, 2015). Nonetheless, there is an impression among scholars and observers that the CJEU has in recent years ventured into more controversial terrain. In recent judgments, the redistributive social consequences of earlier doctrines, taken to their logical ends, have become clearer. Permissive judgments on the access of EU migrants to social benefits have raised concerns about ‘welfare migration’ (Blauberger & Schmidt, 2014) which are played up in national debates, such as during the referendum on UK membership. The judgments in the so-called ‘Laval quartet’ have alerted social democrats and trade unions to the possible detrimental consequences of EU free movement principles for national collective labour law (Joerges & Rödl, 2009; Rönnmar, 2008). Academic debate about the CJEU has become more heated, with some prominent contributors calling for non-compliance with controversial rulings and curbs on the court’s powers (Herzog & Gerken, 2008; Scharpf, 2008). While such demands have never seriously been considered by policy-makers, there is an impression that the CJEU, too, is experiencing increasing resistance (Kelemen, 2016). CJEU judgments also played a role during the UK referendum on Brexit,1 but the outcome of that referendum should be read as a backlash against the process of European integration more generally, or even against elites in a very broad sense. The CJEU hardly topped the list of villains in the ‘Leave’ camp. Some – perhaps even more – of the ire was directed at the European Court of Human Rights, and a clear distinction was not always made. It is worth noting, however, that the exit from the jurisdiction of the CJEU has since become one of the ‘red lines’ of the Brexit negotiators (Armstrong, 2017, p. 113). This contribution demonstrates that, while incidences of backlash have been rare, pushback against CJEU judgments has been more widespread than the standard account of the court’s historic successes has admitted. Strategies of non-compliance and evasion, both by national authorities and national judiciaries, have often put a check on the wider ramifications of the more controversial judgments of the CJEU. This, coupled with an apparent ‘retrenchment’ from expansive interpretations of EU law on the part of the CJEU (Blauberger et al., forthcoming; Spaventa, 2017), will likely continue to prevent backlash by member state authorities – at least as far as they remain committed to the rule of law. The article proceeds as follows. It fist examines the different forms that resistance against the CJEU may take. Subsequent sections separately review data – so far as this is available – on such resistance. They review literature on compliance with CJEU rulings by political authorities and national judiciaries. Beyond non-compliance, the article looks at strategies member state authorities employ to protect national policies from the wider ramifications of CJEU doctrines. A final section summarises the central insights. free movement of persons, embodied in the concept of Union citizenship, has begun to dissociate itself from economic activity, and the EU Charter of Fundamental Rights has only recently introduced an explicit fundamental rights catalogue into EU law. In pursuit of its aims, EU law replaces specific national provisions, based on either (‘positive’) re-regulation by means of EU legislation or the mere (‘negative’) removal of national barriers to trade. The CJEU is the ultimate arbiter of conflicts between European rules and national rules, and it is generally regarded as favouring European rules over national ones (Larsson & Naurin, 2016; Pollack, 2018). Resistance against the CJEU therefore generally takes the form of opposition to the replacement of national rules. Reasons for such resistance can range from narrow self-interest in the distributional outcomes of national rules to more general concerns for the integrity of legal traditions, economic institutions or national identities. As in all international legal orders, the implementation of EU law essentially relies on the willingness of its subjects to comply, which may be questionable for the stated reasons. Compared with other international legal orders, however, the European Union has a rather sophisticated set of mechanisms in place by which compliance with EU law can be enforced. National authorities have a legal obligation to implement EU law and adjust administrative practices accordingly (Article 4(3) TEU). Where they fail to do so, they can be taken to court, either by the European Commission or by affected citizens and companies. Where infringements of EU law are prosecuted by the Commission, member states potentially face financial sanctions for continued non-compliance, or even immediate sanctions where they fail to timely transpose EU directives into national law (Article 260 TFEU). Member states can also be held financially liable for the costs incurred by citizens and companies on account of a failure to correctly implement or apply EU law. While EU institutions, in particular the Commission, show an interest in not escalating conflicts and refrain from ‘overusing’ certain enforcement tools (Falkner, 2015), citizens and companies frequently invoke EU law in cases before national courts, either against national authorities or against other citizens and companies. The judicial enforcement of EU law is therefore an everyday practise. There is no disagreement among member states about the principles of this enforcement regime. In fact, they have been strengthened with almost every treaty change in the past (Kelemen, 2016). automatically accepted. This is especially true where the CJEU develops innovative doctrines, sometimes in clear opposition to the intent of the EU legislature (Dawson, de Witte, & Muir, 2013; de Waele, 2010). Examples for such types of judgments include the creation of an obligation to recognise other member states’ product regulations, the CJEU’s very permissive definition of what constitutes a ‘worker’ who would enjoy unrestricted free movement rights, its (initially) generous interpretation of migrant citizens’ access to host state welfare benefits, its very restrictive interpretation of the national labour market rules that can be applied to posted workers, or it’s development of the concept of age discrimination in labour market rules. The occurrence of resistance is therefore unsurprising. Resistance can take many forms and come from many sources. No longer ‘blessed with benign neglect’ (Stein, 1981, p. 1), the CJEU today faces a broad audience for all of its judgments (Kelemen, 2016). The most concentrated source of engaged criticism is the large audience of academic lawyers and legal professionals who analyse legal developments in a multitude of specialised fora. For this audience, pushback is an almost daily exercise. Academic debate is also the dominant source of strong criticism that could be classified as backlash (e.g. Herzog & Gerken, 2008; Scharpf, 2008). It is rarer for CJEU judgments to catch the attention of a mass audience. Media only rarely report on judgments, and even quality outlets sometimes fail to properly differentiate between the CJEU and the European Court of Human Rights. Public opinion of the CJEU varies with the public perception of the EU in general, but opinion surveys often show higher approval ratings for the CJEU than most other public institutions (Kelemen, 2016, p. 132; Pollack, 2018). largely uncontested and its rulings are rarely reversed does not mean that it is not resisted. Pushback from core audiences is more common than the traditional ‘success story’ of the CJEU implies. The remainder of this article will focus on forms of such pushback by national political authorities and the judiciary. During procedures before the CJEU, member states have the opportunity to submit so-called ‘observations’, outlining their standpoint in the legal issue at hand. Such observations have been interpreted as signals to the CJEU of the limits of an ‘acceptable’ ruling and as implicit threats of non-compliance or override. Recent research has highlighted that the CJEU is receptive to such signals on the whole (Carrubba, Gabel, & Hankla, 2012; Larsson & Naurin, 2016). National governments therefore have an opportunity to pre-empt unwanted CJEU doctrine. However, it is not rare for the CJEU to rule against even vocal member state opposition (Stone Sweet & Brunell, 2012). Once the CJEU has issued a contested judgment, many different political and legal institutions mediate its application, and pushback can take multiple forms. In particular, a distinction should be made between the failure by a national authority to comply with an individual judgment, and attempts by member state authorities to limit or nullify the broader impact of judgments on national policies. This follows the distinction used in the literature between relatively narrow ‘compliance’ with the outcomes of international adjudication and the broader ‘effectiveness’ of international courts (Helfer, 2013). The former, so far as it is deliberate, is a relatively explicit form of pushback. It exhibits some characteristics of backlash in that non-compliance with an individual ruling is outside the bounds of ‘ordinary’ criticism. At the same time, it does not explicitly challenge the EU legal system as such. Such non-compliance is not uncommon. The latter poses the question of the practical, ‘real world’ effects of CJEU doctrines on national policies, a point that has been a curious blind spot in the extensive literature on the CJEU so far (Blauberger & Schmidt, 2017a, p. 7). National authorities have various means of ‘containing’ the intermediate authority of the CJEU, limiting the effects of its rulings to the individual case (Conant, 2002). By ignoring a judgment’s wider ramifications (its ‘erga omnes’ effect), national policy makers can force individuals to claim their EU rights again and again, a cumbersome strategy that only few can afford. The following sections concentrate on resistance to CJEU judgments by national political and judicial authorities and follow the distinction between compliance and effectiveness. They review data on the incidence of the outlined pushback strategies. This section reviews the available data on the extent to which national political and judicial authorities comply with CJEU rulings. The original treaties that founded the European Economic Community did not contain a special procedure by which to enforce a Court ruling. A CJEU ruling was treated as just another obligation arising out of EU law that would be enforced like any other source of EU law. In the late 1980s, concerns about non-compliance with CJEU rulings led the Commission and some member states (not least the UK) to advocate for a more forceful enforcement mechanism (Kilbey, 2010). The Maastricht Treaty, signed in 1992, introduced the possibility to apply penalties for noncompliance with a CJEU ruling. This mechanism, which was strengthened by the 2009 Lisbon Treaty, only relates to one type of CJEU rulings: those delivered as a consequence of an infringement procedure brought by the Commission against an EU member state for failure to fulfil an obligation. Where the Court has issued a ruling against a member state in such a procedure, the Commission can now bring an expedited second infringement procedure in case the ruling is not complied with, at the end of which the CJEU can apply a lump sum fine and a penalty that recurs until the initial ruling is complied with. Infringement cases, however, constitute only a minority of all cases handled by the CJEU (e.g. Court of Justice of the European Union, 2017, p. 88). The majority of the Court’s docket is made up of preliminary references sent by national courts in cases initiated by private parties. The ability of citizens, groups and companies to turn to domestic courts to claim rights based in EU law is a feature that sets the EU legal order apart from most international legal regimes (Tallberg, 2002). No special enforcement mechanism exists for CJEU judgments issued under the preliminary reference procedure, but since such rulings are sent back to the referring (national) court for a decision on the merits, the procedure activates domestic mechanisms of compliance with judicial rulings, which are generally presumed to be more forceful than international mechanisms. National courts also often apply EU law directly without a preliminary reference to the CJEU. Issues of pushback through noncompliance in this context primarily concern the extent to which national courts are willing to follow the CJEU’s interpretation of EU law. Compliance mechanisms differ quite significantly between the types of cases the CJEU rules on. Whereas in infringement proceedings it is the behaviour of national political authorities that is most relevant for compliance, in the preliminary reference procedure it is mostly national judiciaries. The article will deal with these separately. the CJEU with requests for financial penalties. Until the end of 2016, the Commission had sent 86 such cases to the Court, which corresponds to about 9 percent of infringement cases ruled on by the CJEU from 1997 to 2016 (962).6 The CJEU ruled on 33 of these (the rest were withdrawn before a judgment), issuing financial penalties in 31. More detailed information on the Commission’s follow up of CJEU judgments in infringement cases is available since 2003 in the Commission’s online database on infringement decisions. According to this source, the Commission has officially initiated ‘second round infringement proceedings’ (infringement proceedings regarding a previous CJEU judgment) with a letter of formal notice in 461 cases between 2003 and 2016, indicating that compliance was at least delayed in just under half of all cases ruled on by the Court in this period. This number corroborates earlier findings by Daniela Panke, who found that compliance was either absent or incomplete within two years of a CJEU judgment in about 50 percent of German cases in the field of social and environmental policy from 1978 to 2000 (Panke, 2007, p. 851)7.
interpretation issues (Falkner, 2014, 2015). Cases concerning environmental protection and state aid to industry clearly fall into this category. Closer analyses of the aftermath of the cases in which the CJEU issued a penalty for non-compliance with previous judgments indicate that even financial penalties do not guarantee that the underlying implementation problem is remedied. Ian Kilbey shows that the Commission has developed creative means of ‘face-saving’ in order to close cases after some penalties have been paid and some efforts towards compliance undertaken, even though the problem persists (see also Batory, 2016; Kilbey, 2010). Gerda Falkner comes to similar conclusions in her study referenced above (Falkner, 2015). These cases clearly show the limits of EU institution’s ability to enforce CJEU rulings. It is reasonable to assume that the Commission has an interest in minimising the amount of cases in which it gets ‘shown-up’ in this fashion, which would suggest that ‘hopeless‘ cases may not get pursued to the full extent. This is more reason to assume that Commission enforcement data likely underreports true instances of non-compliance. Even taken at face value this data shows that compliance with CJEU rulings in infringement cases is at least delayed in about half of all cases and more seriously resisted in about one out of ten cases. Optimists will interpret this as a respectable compliance rate of 90 percent, but it seems doubtful that these numbers compare favourably with those of national supreme courts with which the CJEU is often equated (Rogowski & Gawron, 2002). 3.2.National judiciaries’ compliance with CJEU judgments Whereas there is at least some official data available on member state compliance with rulings in infringement proceedings, research on compliance with CJEU rulings on preliminary references on the other hand is entirely reliant on case-by-case analysis. Preliminary references arise out of domestic conflicts where one of the parties (or the national judges themselves) find the case’s resolution to hinge on a question of EU law. National courts can decide to refer this question to the CJEU for a preliminary ruling. The CJEU rules on the validity of the piece of EU law in question or gives an authoritative interpretation of this law, and refers the case back to the national court. Subsequently, at least in principle, the national court applies the interpretation of EU law given by the CJEU to the facts of the case at hand. Domestic cases that involve a question of EU law typically either revolve around the validity of a piece of EU law or around the compatibility of a national rule or practice with EU law obligations. The first kind of case amounts to a form of judicial review of EU legislation. The second kind in turn is a form of judicial review of national law or administrative practices. Such cases can amount to a form of de-centralised infringement proceeding brought by private parties in national courts explicitly or implicitly against a national authority (de Witte, 2016; Hübner, 2017).8 The central difference between such de-centralised cases and an infringement procedure initiated by the Commission is that the final outcome in the former is a judgment by a national court. Should the national court find that, in light of the CJEU’s case-law, a national rule or practice has to be disapplied (because it conflicts with EU law), national authorities are faced with an authoritative ruling by a national court and domestic rules of compliance and enforcement apply (Alter, 1996). The assumption is that the ‘compliance pressure’ on national authorities is greater if the final judgment is issued by a national court rather than an international one. It is this involvement of national judges in the enforcement of EU law that sets the implementation of CJEU judgments apart from its international peers. The ‘complicity’ of national courts is generally seen as a cornerstone of the success of the EU legal regime compared with other international law regimes (Alter, 1996). Legally, the CJEU does not have the competence within the preliminary reference procedure to rule directly on the compatibility of a national law with EU law. For all practical purposes, however, the CJEU judgment in many cases does exactly that. movement, or the ‘sufficient seriousness’ of a breach of EU law in the assessment of state liability, also leave extensive space for interpretation that national courts can use creatively (Davies, 2012). Given the centrality of national courts for theories of European legal integration, there is rather little systematic and comparative empirical research done on this question. Early research on individual member states, based on case-by-case analyses, indicated that courts comply at about the same rate as member state authorities in infringement proceedings (Korte, 1991; Schwarze, 1988). Newer research on the preliminary reference procedure has presented a more detailed picture of how national courts can avoid complying with CJEU rulings they disagree with outside of open defiance, even where they have sent a reference to the CJEU (Davies, 2012; Nyikos, 2003). One such strategy is to refer the question again, another to interpret the facts of the case so that the CJEU’s interpretation of EU law does not apply, and yet another to silently apply a different interpretation without overtly stating disagreement. In her study of 300 preliminary reference cases from 1961 to 1994, Stacy Nyikos found evidence for all three strategies, although they remain exceptions. 289 CJEU judgments, or 96 percent of her sample, were implemented. National courts can use the dossier they refer to the CJEU to offer their point of view on how their specific question should be answered. Rather than a one-way street, where national courts simply pose a question and patiently await an answer, the preliminary reference procedure can in this way become a vehicle for strategic interaction between courts. This option is in fact frequently used, and ‘preemptive opinions’, as they have been called (Nyikos, 2006), similar to member state observations, can act as a signal to the CJEU as to what an acceptable ruling could look like. A case in point is the recent (and first ever) case referred to the CJEU by the German Constitutional Court.9 In phrasing its question about the proper interpretation of the European Central Bank’s (ECB) competence to purchase national government bonds on the secondary market (so-called ‘Outright Monetary Transactions’), the German court appeared to suggest that it would accept no other interpretation than the restrictive one it had suggested as part of its dossier (Jones & Kelemen, 2014). In a study of 574 cases from 1961 to 1994, Stacy Nyikos found that national courts make use of preemptory opinions in 41 percent of the cases. Karin Leijon found such opinions in half of her 359 randomly selected cases in the period from 1992 to 2012 (Leijon, 2015). Case C-62/14 Peter Gauweiler and Others v Deutscher Bundestag (2015) ECLI:EU:C:2015:400. Case C-399/09 Marie Landtová v Česká správa socialního zabezpečení (2011) ECLI:EU:C:2011:415. 2016, p. 109). In this case, the CJEU disagreed with the German court’s interpretation and accorded the ECB broad discretion to conduct monetary policy. There was some initial doubt whether the German Constitutional Court would take a confrontational stance and dismiss the CJEU’s ruling, but it’s 2016 judgment largely followed the CJEU’s line. In August 2017, the German Constitutional Court again referred a question about the ECB’s competences in monetary policy, this time regarding large-scale purchases of assets, as part of is strategy of ‘quantitative easing’. Again, the German court has expressed doubts about the legality of this strategy, although its tone this time around has been interpreted as being more open to judicial dialogue (Goldmann, 2017). The Supreme Court of Denmark, too, has recently decided not to follow a CJEU ruling. This case is noteworthy because, unlike in the Czech case, it was the Supreme Court itself that sent the original reference.11 While the facts of the case were unremarkable, the Supreme Court decided to interpret the applicability of CJEU doctrines in Denmark through the lens of the Danish Accession Act (Madsen, Olsen, & Sadl, 2017). It held that all judicial innovations that took place after the most recent amendments to the Accession Act would not be legally binding on Danish courts. The doctrine that the CJEU drew on to suggest the incompatibility of the Danish law in question, the prohibition of discrimination on the grounds of age, had been developed by the CJEU in a 2005 ruling12 and was handed down after the latest amendment to the Accession Act. The Supreme Court, in direct contradiction to the CJEU’s ruling on its own reference, declared that it would overstep its constitutional boundaries were it to disapply national law on account of a novel CJEU doctrine (Madsen et al., 2017). Case C-441/14 Dansk Industri (2016) ECLI:EU:C:2016:278. Case C-144/04 Werner Mangold v Rüdiger Helm (2005) ECLI:EU:C:2005:709.
e.g. case C-129/00 Commission v Italy (2003) ECLI:EU:C:2003:656, case C-507/08 Commission v Slovakia (2010) ECLI:EU:C:2010:802. 14 At issue was s decision by the Dutch Supreme Court on the access of a posted worker to the Dutch social security system. The infringement number of this case is 2003/2253 (European Commission, 2004). 15 e.g. case C-453/00 Kühne & Heitz NV v Produktschap voor Pluimvee en Eieren (2004) ECLI:EU:C:2004:17, case C224/01 Gerhard Köbler v Republik Österreich (2003) ECLI:EU:C:2003:513, case C-160/14 João Filipe Ferreira da Silva e Brito and Others v Estado português (2015) ECLI:EU:C:2015:565.
in 4 percent of cases. National judges’ compliance with CJEU doctrine is much more difficult to trace when courts choose not to refer and instead to apply EU law themselves. We know that this happens in the vast majority of cases where a point of EU law is at issue. It is even more difficult to systematically trace resistance in cases where national courts summarily ignore EU law. Whereas overt conflict between national high courts and the CJEU is amply documented, patterns of less evident pushback, in particular by lower courts, receive very little attention. Since lower national courts are the ordinary courts of EU law, and the odds of any individual conflict reaching a court of last instance are low, this leaves vast holes in the understanding of the every-day administration of justice in subject matters covered by EU law. While non-compliance with CJEU judgments is a fairly strong form of pushback, national political authorities often have the possibility to contain wider ramifications of judge-made doctrines even when they comply with a CJEU judgment in a narrow sense. While this form of resistance sends less obvious signals to the EU court, the national room for manoeuvre in neutralising controversial judgments may be the central mechanism that has so far prevented full-blown backlash against the CJEU (Werner, 2016). Member state authorities have frequently found means to limit the overall effectiveness (Helfer, 2013) of CJEU decisions. Rather than merely tracing developments in doctrine and recording compliance, it is therefore important to ask in how far CJEU rulings have practical effects ‘on the ground’. Do citizens or companies have greater opportunities after a ruling than before? Research on the practical effects of court rulings has deeper roots in the United States, where initial optimism about the Supreme Court’s impact on civil rights turned into scepticism about the ability of courts to bring about wider social change (Rosenberg, 1991; Scheingold, 1974). The reference point for similar studies in the EU is Lisa Conant’s 2002 study on the strategies by which national authorities manage to limit the impact of CJEU judgments on policy outcomes (Conant, 2002). Conant, like Rosenberg, argued that in the absence of supportive political pressure following the development of innovative legal doctrines, national authorities will respond by isolating the effects of single judgments, applying them only to the case at hand while ignoring their wider ramifications – that is, denying them intermediate authority and ‘erga omnes’ effect, forcing individuals to claim their rights in court every time these rights are infringed. Conant regarded this type of response as a baseline: ‘In the absence of mobilization by organizational or institutional actors, governments can usually pursue a strategy of contained compliance’ (Conant, 2002, p. 38). a serious threat to national systems of industrial relations with a clear anti-labour, liberalising bent (e.g. Joerges & Rödl, 2009). As such, they created a paradigmatic environment to study how controversial innovative CJEU doctrines would play out ‘on the ground’. With a few years hindsight, several studies have explored the ‘real world’ impact of the judgments in different national settings (e.g. Bücker & Warneck, 2010; Freedland & Prassl, 2015b). The main result of these efforts is that the impact of these judgments is heavily conditioned by the preferences of political parties and important interest groups, in particular employer associations. The judgments in Viking and Laval, for example, were shown to have had little impact outside Sweden, where Laval had originated, the peak employer organisation had supported the legal case against the unions and where a conservativeliberal government was broadly in favour of labour market reform, and the United Kingdom, where no statutory right to strike existed in the first place, unions were already faced with financial liabilities and now put even further on the defensive after the CJEU rulings (Bruun & Jonsson, 2010; Novitz & Syrpis, 2015). A different set of studies has set out to analyse the domestic impact of CJEU doctrines on EU citizenship as it relates to access to welfare benefits.18 At the time of its inclusion into the Treaty of Maastricht, member state governments had not intend for EU citizenship rights to exceed existing free movement rights codified in secondary legislation (Hofmann, 2013, pp. 238-239). The CJEU, however, held in a long series of judgments that the treaty provisions on EU citizenship directly confer rights upon citizens and that EU citizenship can entitle migrants to social benefits as long as they could demonstrate a ‘real link’ to their host society. to restrict access to such benefits by the unemployed, the under-employed and students. While the United Kingdom initially imposed relatively few restrictions. the British government started to introduce and reinforce a series of eligibility tests in 2013. These formulated thresholds, such as the minimum weekly earnings required in order qualify for access. Such generally applicable thresholds ran counter to the original CJEU doctrine, which had required individual assessments rather than mass administrative procedures (Blauberger & Schmidt, 2017b, p. 445). German social administration, in contrast, had from the outset rejected applications for social benefits by EU migrants who were not clearly employed. While there was considerable doubt whether this approach would not be discriminatory under EU law, German authorities waited for case-law to clarify such questions (Blauberger & Schmidt, 2017b, p. 446; Heindlmaier & Blauberger, 2017, p. 1212). Austrian authorities in turn require migrant EU citizens to prove their right to reside, which is tied to financial self-sufficiency, and threaten to withdraw this right if EU migrants apply for social benefits, leaving them in a situation of considerable legal uncertainty (Heindlmaier & Blauberger, 2017, p. 1208). These approaches push back against the CJEU’s initially generous interpretation of EU citizenship rights. Restrictive positions were eventually vindicated when the CJEU started to withdraw from its expansive doctrine on access to social benefits and entered was has been interpreted as a ‘reactionary’ phase in its citizenship case-law in the context of the European economic crisis in the late 2000s (Spaventa, 2017).21 A similar scenario unfolds in relation to the CJEU’s series of case-law regarding EU citizen’s access to cross-border health care. Member state governments never intended to subject the health care sector to EU law’s free movement regime, but in a series of cases starting in 1998, the CJEU decided to the contrary.22 It found that health care constituted a service covered by EU law even if patients did not have to pay for it, and that patients would have the right to cross borders to receive this service and be reimbursed by their health insurance mostly without requiring prior authorisation (Martinsen, 2005). e.g. case C-333/13 Elisabeta Dano and Florin Dano v Jobcenter Leipzig (2014) ECLI:EU:C:2014:2358, case C67/14 Jobcenter Berlin Neukölln v Nazifa Alimanovic and Others (2015) ECLI:EU:C:2015:597, case C-299/14 Vestische Arbeit Jobcenter Kreis Recklinghausen v Jovanna García-Nieto and Others (2016) ECLI:EU:C:2016:114. 22 e.g. case C-120/95 Nicolas Decker v Caisse de maladie des employés privés (1998) ECLI:EU:C:1998:167 and case C-158/96 Raymond Kohll v Union des caisses de maladie (1998) ECLI:EU:C:1998:171.
on their health care regimes. In response to the original CJEU judgments, the Danish government, for instance, had limited patient mobility to health care services that were not delivered ‘in kind’, that is those that involved an element of private pay by patients. This solution was maintained despite vocal doubts within the responsible administration about its conformity with CJEU doctrine. As in the case of industrial relations, Danish courts shielded the domestic system, making almost no mention of EU law in their health care case-law. The law was only changed in line with CJEU case-law after a prolonged intervention by the Danish Ombudsman (Martinsen & Mayoral, 2017, pp. 421-423). In contrast, Spanish courts have more actively engaged with CJEU case-law in their health care jurisprudence. The Spanish legislature, however, has largely ignored even the case-law of national courts and maintained legislation limiting patient mobility, denying CJEU doctrine ‘erga omnes’ effect (Martinsen & Mayoral, 2017, pp. 425-426). The Polish legislature, on the other hand, largely adapted legislation but retained restrictive administrative practices, particularly regarding prior authorization, that in effect limited access to cross-border health care. In this case, too, the national judiciary broadly shielded national practices (Vasev, Vrangbæk, & Křepelka, 2017, p. 470). as outright non-compliance, it is unlikely that the Luxembourg judges are oblivious of or uninterested in the ‘afterlife’ of its doctrines in the member states. The recent adjustments in the CJEU’s doctrine on free movement rights can therefore also be read as an acknowledgement of member state resistance below the threshold of non-compliance. Madsen, Cebulak and Wiesbusch in this issue asked for patterns or specific forms of resistance against international courts (Madsen, Cebulak, and Wiebusch, 2018). This contribution has reviewed the available data on different forms of resistance against judgments of the CJEU. While concrete backlash has occasionally emanated from academic observers and the media, member state authorities and the judiciary have so far broadly supported the integrity of the EU legal system, with the CJEU at its apex. Nonetheless, various forms of pushback are more common than accounts of the CJEU’s apparent success suggest. It is not uncommon that national policy-makers, administrations and the judiciary fail to comply with individual rulings. Moreover, member state authorities have developed multiple strategies to limit the practical effect of controversial lines of CJEU case-law. cases where the CJEU doctrine has touched on salient issues of ‘mega-politics’, such as labour market or welfare policy, member states have proven adept at keeping its practical effects within the realms of the politically acceptable. The CJEU, in turn, has responded to these forms of pushback by moderating its jurisprudence in free movement cases. This of course does not mean that the CJEU is an ineffective international court, certainly not in comparison with some of the regional courts that were designed in its image. Rather, despite its widely heralded success story, the CJEU’s impact on member state policies should not be taken for granted. Many current policies of EU member states are impossible to explain without the influence of CJEU case-law, but the ‘malleability’ of the court’s impact makes even controversial judgments acceptable to national authorities. The availability of ‘work-arounds’ that national authorities can live with shields the CJEU against significant backlash (Werner, 2016). At the same time, the multiple processes of pushback in the member states lead to an outcome of considerable heterogeneity. Citizens and companies can rely on EU law to very differing degrees depending on their location on the European continent. This heterogeneity may be the price to pay to avert serious backlash against an international court that has time and again shown its willingness to reach controversial conclusions and develop law beyond the express intent of member states and the EU legislature. Direct backlash against the CJEU remains unlikely in the future as long as member states remain fundamentally committed to cooperation and continue to feel bound by rule of law norms. Recent developments in member states such as Poland and Hungary demonstrate that this cannot be taken for granted (Kelemen, 2016). The British newspaper Daily Mail’s depiction of British High Court judges as ‘enemies of the people’ in the wake of that court’s decision to grant the final say over Brexit to the UK parliament (Slack, 2016) clearly demonstrates that populist invective against elites does not stop shy of judges, international or domestic. The EU’s sophisticated enforcement regime is weakest precisely when it comes to protecting fundamental norms. As this article has demonstrated, the CJEU itself has limited means to affect entrenched member state policies, and relying on the CJEU to counteract these developments may not be the best strategy (Blauberger & Kelemen, 2017). The solution to a rule of law crisis is unlikely to be judicial. References Alter, K. J. (1996). The European Court's political power. West European Politics, 19(3), 458-487. Andersen, S. (2012). The Enforcement of EU Law: The Role of the European Commission. Oxford: Oxford University Press. Armstrong, K. A. (2017). Brexit time: leaving the EU - why, how and when? Cambridge: Cambridge University Press. Barnard, C. (2016). The Substantive Law of the EU. The Four Freedoms. Oxford: Oxford University Press. Batory, A. (2016). Defying the Commission: Creative compliance and repsect for the rule of law in the EU. Public Administration, 94(3), 685-699. Bernitz, U. (2016). Förhandsavgöranden av EU-domstolen. Utvecklingen av svenska domstolars hållning och praxis 2010-2015. Rapport nr. 9, September 2016. Stockholm: SIEPS Svenska institutet för europapolitiska studier. Blauberger, M. (2012). With Luxembourg in mind ... the remaking of national policies in the face of ECJ jurisprudence. Journal of European Public Policy, 19(1), 109-126. Blauberger, M., Heindlmaier, A., Kramer, D., Martinsen, D. S., Thierry, J. S., Schenk, A., & Werner, B. (forthcoming). ECJ judges read the morning papers. Explaining the turnaround of European citizenship jurisprudence. Journal of European Public Policy. Blauberger, M., & Kelemen, R. D. (2017). Can courts rescue national democracy? Judicial safeguards against democratic backsliding in the EU. Journal of European Public Policy, 24(3), 321-336. Blauberger, M., & Schmidt, S. K. (2014). Welfare migration? Free movement of EU citizens and access to social benefits. Research and Politics, 1(3), 1-7. Blauberger, M., & Schmidt, S. K. (2017a). The European Court of Justice and its political impact. West European Politics, early view. Blauberger, M., & Schmidt, S. K. (2017b). Free movement, the welfare state, and the European Union’s over-constitutionalization: Administrating contradictions. Public Administration, 95(2), 437-449. Börzel, T. A., Hofmann, T., Panke, D., & Sprungk, C. (2010). Obstinate and Inefficient: Why Member States Do Not Comply With European Law. Comparative Political Studies, 43(11), 1363-1390. Börzel, T. A., & Risse, T. (2012). From Europeanisation to Diffusion: Introduction. West European Politics, 35(1), 1-19. Bruun, N., & Jonsson, C.-M. (2010). Nordic countries. Consequences and policy perspectives in the Nordic Countries as a result of certain important decisions of the European Court of Justice. In A. Bücker & W. Warneck (Eds. ), Viking – Laval – Rüffert: Consequences and policy perspectives (pp. 15-28). Brussels: ETUI. Bücker, A., & Warneck, W. (Eds.). (2010). Viking – Laval – Rüffert: Consequences and policy perspectives. Brussels: ETUI. Carrubba, C., Gabel, M., & Hankla, C. (2012). Understanding the Role of the European Court of Justice in European Integration. American Political Science Review, 106(1), 212-223. Conant, L. (2002). Justice Contained. Law and Politics in the European Union. Ithaca, London: Cornell University Press. Court of Justice of the European Union. (2017). Annual Report 2016 - Judicial activity, Luxembourg. Davies, G. (2012). Activism relocated. The self-restraint of the European Court of Justice in its national context. Journal of European Public Policy, 19(1), 76-91. Davies, G. (2014). Legislative control of the European Court of Justice. Common Market Law Review, 51(6), 1579-1607. Dawson, M., de Witte, B., & Muir, E. (Eds.). (2013). Judicial Activism at the European Court of Justice. Cheltenham: Edward Elgar. de Waele, H. (2010). The Role of the European Court of Justice in the Integration Process: A Contemporary and Normative Assessment. Hanse Law Review, 6(1), 3-26. de Witte, B. (2016). The Preliminary Ruling Dialogue: Three Types of Questions Posed by National Courts. In B. de Witte, J. A. Mayoral, U. Jaremba, M. Wind, & K. Podstawa (Eds. ), National Courts and EU Law: New Issues, Theories and Methods (pp. 15-25). Cheltanham: Edward Elgar. Dyevre, A. (2016). Domestic Judicial Defiance in the European Union: A Systemic Threat to the Authority of EU Law? Yearbook of European Law, 35(1), 106-144. European Commission. (2004). Posted workers: Commission takes action against the Netherlands. Press release IP/04/178. Falkner, G. (2014). 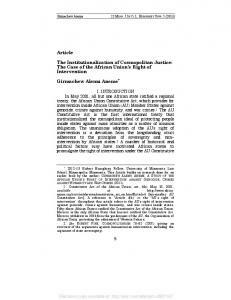 Archive of ECJ penalization proceedings analyses: Institute for European Integration Research, University of Vienna, Austria. Falkner, G. (2015). Fines against member states: An effective new tool in EU infringement proceedings? Comparative European Politics, 14(1), 36-52. Freedland, M., & Prassl, J. (2015a). Viking, Laval and Beyond: An Introduction. In M. Freedland & J. Prassl (Eds. ), Viking, Laval and Beyond (pp. 1-22). Oxford: Hart Publishing. Freedland, M., & Prassl, J. (Eds.). (2015b). Viking, Laval and Beyond. Oxford: Hart Publishing. Goldmann, M. (2017). Summer of Love: Karlsruhe Refers the QE Case to Luxembourg. Verfassunsblog, 16.08.2017. Golub, J. (1996). The Politics of Judicial Discretion: Rethinking the Interaction between National Courts and the European Court of Justice. West European Politics, 19(2), 360-385. Hartlapp, M., & Falkner, G. (2009). Problems of operationalization and data in EU compliance research. European Union Politics, 10(2), 281-304. Heindlmaier, A., & Blauberger, M. (2017). Enter at your own risk: free movement of EU citizens in practice. West European Politics, 40(6), 1198-1217. Helfer, L. R. (2013). The Effectiveness of International Adjudicators. In C. P. R. Romano, K. J. Alter, & C. Avgerou (Eds. 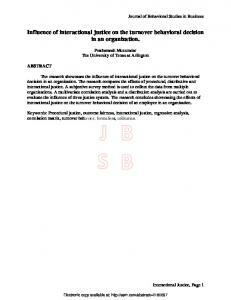 ), The Oxford Handbook of International Adjudication (pp. 464483). Oxford: Oxford University Press. Herzog, R., & Gerken, L. (2008). Stoppt den Europäischen Gerichtshof. Frankfurter Allgemeine Zeitung, 8 September 2008, page 8. Hirschl, R. (2008). The Judicialization of Mega-Politics and the Rise of Political Courts. Annual Review of Political Science, 11, 93-118. Hofmann, A. (2013). Strategies of the Repeat Player. The European Commission between Courtroom and Legislature. Berlin: ePubli. Hübner, D. C. (2017). The decentralized enforcement of European law: national court decisions on EU directives with and without preliminary reference submissions. Journal of European Public Policy, early view. Jaremba, U. (2016). Polish Civil Judiciary Vis-À-Vis The Preliminary Ruling Procedure: In Search of a Mid-Range Theory. In B. de Witte, J. A. Mayoral, U. Jaremba, M. Wind, & K. Podstawa (Eds. ), National Courts and EU Law: New Issues, Theories and Methods (pp. 4967). Cheltanham: Edward Elgar. Joerges, C., & Rödl, F. (2009). Informal Politics, Formalised Law and the ‘Social Deficit’ of European Integration: Reflections after the Judgments of the ECJ in Viking and Laval. European Law Journal, 15(1), 1-19. Jones, E., & Kelemen, R. D. (2014). The Euro Goes to Court. Survival: Global Politics and Strategy, 56(2), 15-23. Kelemen, R. D. (2016). The Court of Justice of the European Union in the Twenty-First Century. Law and Contemporary Problems, 79, 117-140. Kilbey, I. (2010). The interpretation of Article 260 TFEU (ex 228 EC). European Law Review, 35(3), 370-386. Korte, J. (Ed.) (1991). Primus Inter Pares: The European Court and National Courts. The Followup by National Courts of Preliminary References ex Art. 177 of the Treaty of Rome: A Report on the Situation in the Netherlands. Baden-Baden: Nomos. Larsson, O. (2016). Minoritarian Activism - Judicial Politics in the European Union. Gothenburg: University of Gothenburg. Larsson, O., & Naurin, D. (2016). Judicial Independence and Political Uncertainty: How the Risk of Override Affects the Court of Justice of the EU. International Organization, 70(1), 377-408. Leczykiewicz, D. (2015). Effectiveness of EU Law before National Courts: Direct Effect, Effective Judicial Protection, and State Liability. In D. Chalmers & A. Arnull (Eds. ), The Oxford Handbook of European Union Law (pp. 212-248). Oxford: Oxford University Press. Leijon, K. (2015). The Choices Courts Make: Explaining when and why domestic courts express opinions in the preliminary ruling procedure. 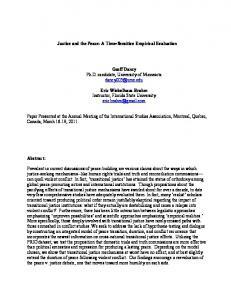 Paper prepared for the General ECPR conference, Montréal, 26-29 August 2015. Leijon, K., & Karlsson, C. (2013). Nationella domstolar som politiska aktörer – främjare av rättslig integration eller försvarare av nationella intressen? Statsvetenskaplig tidskrift · Årgång 115 · 2013 / 1, 115(1), 5-34. 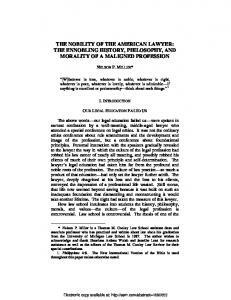 Madsen, M. R., Olsen, H. P., & Sadl, U. (2017). Competing Supremacies and Clashing Institutional Rationalities: The Danish Supreme Court's Decision in the Ajos Case and the National Limits of Judicial Cooperation. 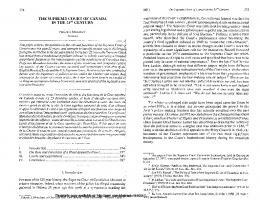 European Law Journal, 23(1-2), 140-150. Madsen, Mikael Rask, Pola Cebulak and Micha Wiebusch (2018) ‘Backlash against International Courts: Explaining the Forms and Patterns of Resistance to International Courts’, International Journal of Law in Context 14:2. Martinsen, D. (2005). The Europeanization of Welfare – The Domestic Impact of Intra-European Social Security. Journal of Common Market Studies, 43(5), 1027-1054. Martinsen, D. (2015). An Ever More Powerful Court? 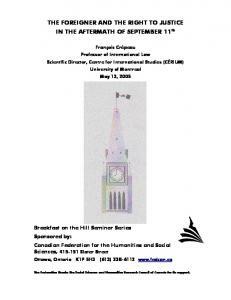 : The Political Constraints of Legal Integration in the European Union. Oxford: Oxford University Press. Martinsen, D., & Mayoral, J. A. (2017). A judicialisation of healthcare policies in Denmark and Spain? The universalist healthcare model meets the European Union. Comparative European Politics, 15(3), 414-434. Mayoral, J. 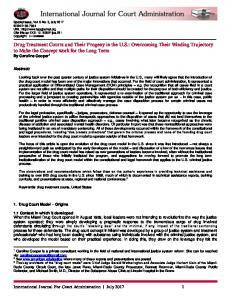 A., Jaremba, U., & Nowak, T. (2014). Creating EU law judges: the role of generational differences, legal education and judicial career paths in national judges' assessment regarding EU law knowledge. Journal of European Public Policy, 21(8), 1120-1141. Neergaard, U., & Nielsen, R., 1(4): 434–88. (2010). Blurring boundaries: from the Danish welfare state to the European Social Model? European Labour Law Journal, 1(4), 434-488. Novitz, T., & Syrpis, P. (2015). The United Kingdom. In M. Freedland & J. Prassl (Eds. ), Viking, Laval and Beyond (pp. 261-276). Oxford: Hart Publishing. Nyikos, S. A. (2003). The Preliminary Reference Process. 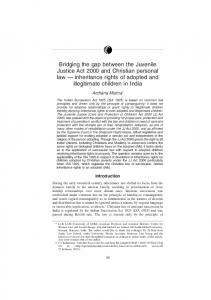 National Court Implementation, Changing Opportunity Structures and Litigant Desistment. ￼European Union Politics, 4(4), 397-419. Nyikos, S. A. (2006). Strategic interaction among courts within the preliminary reference process – Stage 1: National court preemptive opinions. European Journal of Political Research, 45(4), 527-550. Obermaier, A. J. (2008). The National Judiciary - Sword of European Court of Justice Rulings: The Example of the Kohll/Decker Jurisprudence. European Law Journal, 14(6), 735-752. Panke, D. (2007). The European Court of Justice as an agent of Europeanization? Restoring compliance with EU law. Journal of European Public Policy, 14(6), 847-866. Piqani, D. (2016). The Simmenthal Revolution Revisited: What Role for Constitutional Courts? In B. de Witte, J. A. Mayoral, U. Jaremba, M. Wind, & K. Podstawa (Eds. ), National Courts and EU Law: New Issues, Theories and Methods (pp. 26-48). Cheltanham: Edward Elgar. Pollack, M. A. (2018). The Legitimacy of the Court of Justice of the European Union. In N. Grossmann, H. G. Cohen, A. Follesdal, & G. Ulfstein (Eds. ), Legitimcay and International Courts. Cambridge: Cambridge University Press. Rogowski, R., & Gawron, T. (Eds.). (2002). Constitutional Courts in Comparison: The US Supreme Court and the German Federal Constitutional Court. New York, Oxford: Berghahn. Rönnmar, M. (2008). Free Movement of Services versus National Labour Law and Industrial Relations Systems: Understanding the Laval Case from a Swedish and Nordic Perspective. Cambridge Yearbook of European Legal Studies, 10, 493-524. Rosenberg, G. (1991). The Hollow Hope: Can Courts Bring About Social Change? Chicago: University of Chicago Press. Scharpf, F. (2008). The Only Solution is the Refuse to Comply with ECJ Rulings. Interview with Cornelia Girndt. Social Europe Journal, 4(1), 16-21. Scheingold, S. A. (1974). The Politics of Rights: Lawyers, Public Policy, and Political Change. New Haven: Yale University Press. Schwarze, J. r. (1988). Die Befolgung von Vorabentscheidungen des Europäischen Gerichtshofs durch deutsche Gerichte. Baden-Baden: Nomos. Seikel, D. (2015). Class struggle in the shadow of Luxembourg. The domestic impact of the European Court of Justice's case law on the regulation of working conditions. Journal of European Public Policy, 22(8), 1166-1185. Slack, J. (2016). Enemies of the people (pp. 1): Daily Mail, 4 November 2016. Slaughter, A.-M., Stone Sweet, A., & Weiler, J. H. H. (1998). The European Court and National Courts, Doctrine and Jurisprudence: Legal Change in its Social Context. Oxford: Hart Publishing. Smith, M. (2016). The visible, the invisible and the impenetrable: innovations or rebranding regulatory goals and constituitional values. In S. Drake & M. Smith (Eds. 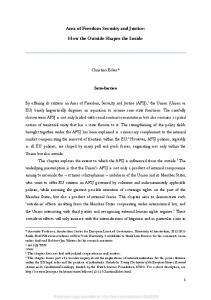 ), New directions in the effective enforcement of EU law and policy (pp. 45-76). Cheltenham: Edward elgar. Spaventa, E. (2017). Earned citizenship - understanding Union citizenship through its scope. In D. Kochenov (Ed. ), EU Citizenship and Federalism. The Role of Rights (pp. 204-225). Cambridge: Cambridge University Press Stein, E. (1981). Lawyers, Judges, and the Making of a Transnational Constitution. 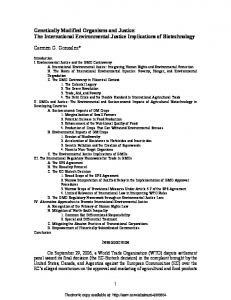 American Journal of International Law, 75(1), 1-28. Stone Sweet, A., & Brunell, T. L. (2012). The European Court of Justice, State Noncompliance, and the Politics of Override. American Political Science Review, 106(1), 204-213. Taborowski, M. (2012). Infringement proceedings and non-compliant national courts. Common Market Law Review, 49(6), 1881–1914. Tallberg, J. (2002). Paths to Compliance: Enforcement, Management, and the European Union. International Organization, 56(3), 609-643. Treib, O. (2014). Implementing and complying with EU governance outputs. Living Reviews in European Governance, 9(1), 1-47. Vasev, N., Vrangbæk, K., & Křepelka, F. (2017). The end of eastern territoriality? CJEU compliance in the new member states. Comparative European Politics, 15(3), 459-477. Werner, B. (2016). Why is the Court of Justice of the European Union not more Contested? Three Mechanisms of Opposition Abatement. Journal of Common Market Studies, 54(6), 14491464. Wind, M. (2010). The Nordics, the EU and the Reluctance Towards Supranational Judicial Review. Journal of Common Market Studies, 48(4), 1039-1063. Wind, M., Martinsen, D. S., & Rotger, G. P. (2009). The Uneven Legal Push for Europe. Questioning Variation when National Courts go to Europe. European Union Politics, 10(1), 63-88. 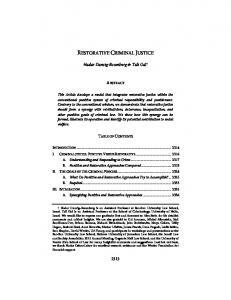 Report "Resistance against the Court of Justice of the ... - SSRN papers"